A-HOTEL.com - Luxury and cheap accommodation in Vazhiny, Russia. Prices and hotel, apartment booking in Vazhiny and surrounding. 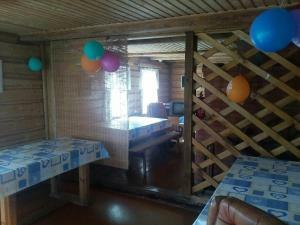 Boasting a sauna, Holiday Home Svyatoye Ozero is situated in Vazhinskaya Pristan'. This holiday home provides a private beach area, free bikes, as well as barbecue facilities. Holiday Home Melnica is set in Vazhinskaya Pristan'. Guests staying at this holiday home have access to a fully equipped kitchen.